Making ends meet is getting harder by the second, especially if you are working your way up or not in a secure job. Which is why you need to consider all your options when it comes to making a little extra money from the comfort of your home. 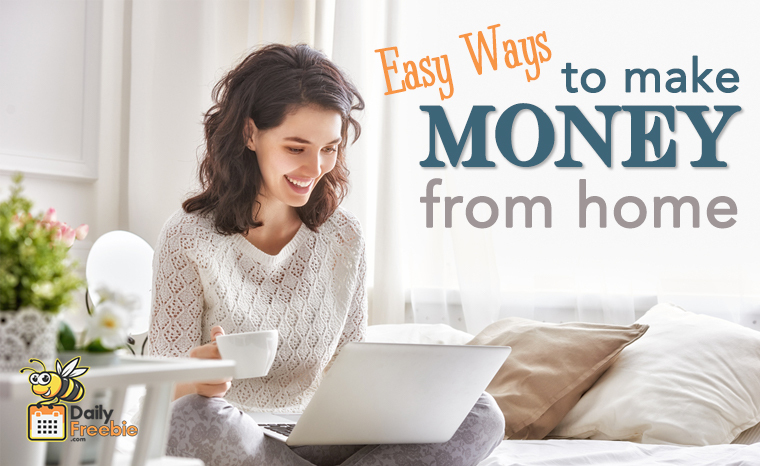 To help you get started we have listed down a few easy ways to make money at home. Paid Surveys – Many of you might be aware of them, but paid surveys are still a mystery to some. These surveys are conducted online, so you won’t have to leave your home, and can easily bring in hundreds of dollars each month. The amount you make depends on how many surveys you take, and how much time you have to offer. Whenever a new survey is available you will be notified by email, so you can take them even when you are on the go. Blogging – You don’t have to be a professional writer to start a blog, all you need are some typing skills and you are ready to get started. Starting a blog has never been easier, as now you have access to unlimited online tools that walk you through the entire process. Websites such as WordPress can be set up in under five minutes, so you can finally get started on your blogging career. Rent A Room – Have an extra bedroom at home? Why let it go to waste when you can get some money out of it. All you have to do is tidy the place up and offer a bed, with easy access to the bathroom and you can start renting the place for long or short term use. This way you won’t have to do any work other than saying an occasional hello. Renting Your Car – There are many applications that allow you to post an advertisement when renting your vehicle. So you can easily get the most out of your parked car. You can easily rent it during the free slots, so you will bring in the extra money you need to pay off for the car. Work Online – There are endless opportunities when it comes to working online. This way you can finally put your education or skills to some good use. There are unlimited online platforms that allow you to advertise your services in return for a fee. This is a great deal as they will be marketing your services to buyers from all around the world. It doesn’t matter if you’re looking for a way to make some extra cash or if you’re sick of working in an office, working from home offers you ample benefits that you will love and cherish for a long time to come. Which is why we suggest you get started on it sooner rather than later, making sure you get a steady income before you quit your day job.